We love love love delicata squash around here. The porridge? My kids love it for breakfasts and snacks, and I think you will too! Throw a few things in the Instant Pot, including a whole, uncut delicata squash, and with only about 5 minutes’ labor you have a beautiful, wholesome porridge. This breakfast recipe is AIP compliant as well as GAPS-friendly, but serve it to anyone who loves porridge. 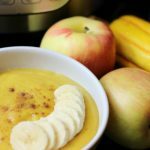 Apple-Delicata Squash Porridge is delicious and naturally sweet! The slippery elm is optional, as it’s not compliant for those just starting out on the AIP Diet. Otherwise, I recommend it. Here’s why. Also, I show nuts (below) as a topping on the porridge. Of course, AIP folks aren’t going to use those. But have fun with the toppings, based on your restrictions: coconut, fresh or frozen berries, sliced banana etc. Son: Isn’t that stuff so delicious? 🙂 (My son ate the porridge hot that morning for breakfast.) So I recommend the loveliness not only as hot porridge, but I pour it into 8 oz. canning jars for lunches and snacks. Whether GAPS Diet, AIP, Paleo or just a lover of wholesome food (and delicata squash! 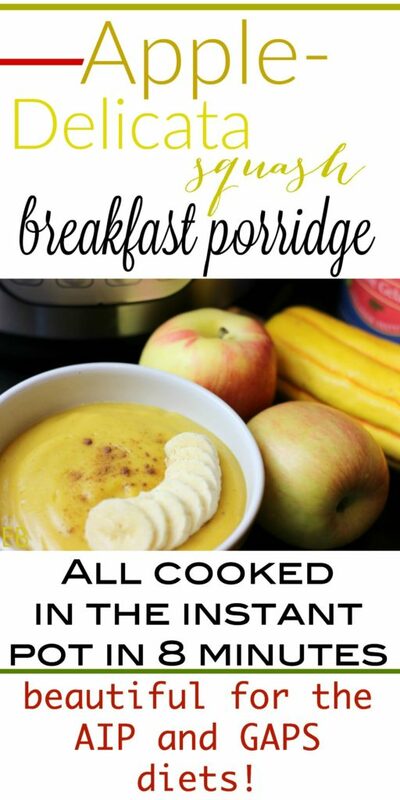 ), this porridge is sure to please for breakfasts, snacks and lunches. Place whole, uncut delicata squash into insert pot. Add apple chunks. Add bone broth and spices. Make sure rubber ring is in place in the Instant Pot lid, and secure lid, closing steam valve. Choose Manual setting and 8 minutes. When timer goes off, allow pressure to release naturally for 10 minutes; then press Cancel, place a dish towel over steam valve and open it to release any remaining pressure. Remove lid and insert, so the pot's contents begin to cool. When cool enough to handle, place delicata on a plate or cutting board. Cut in half length-wise and remove seeds with spoon. (They come out very quickly and easily.) 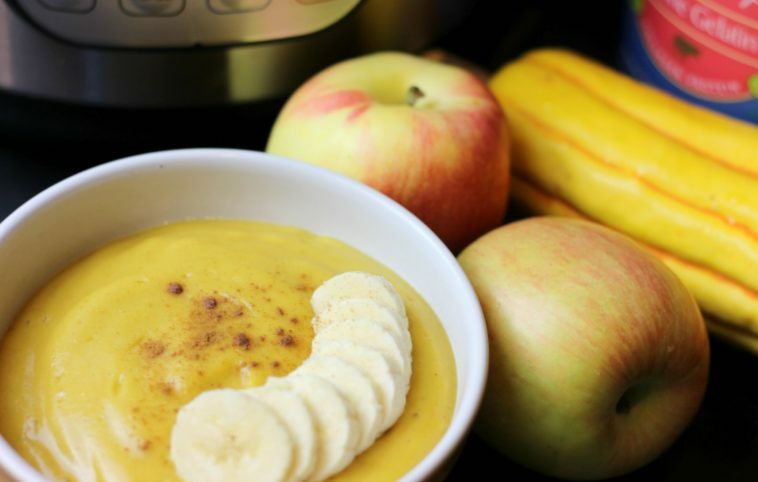 Place squash halves and pot's contents (apples, broth and spices) into blender. Add remaining ingredients: optional slippery elm, gelatin, maple syrup and sea salt. Blend for about 30 seconds, until smooth. Serve with optional toppings, or pour into portable containers for packing in lunches. Here's the sustainably-grown and harvested slippery elm I buy and use. By the way, this is the Instant Pot I use. Yes, it totally did! 😉 You can imagine. I cook so much for them, so often. It’s really fun when a new recipe wins their hearts on the first try, and it’s different from all the usuals PLUS they all 3 can eat it, and it’s healthy!! Thank you!! xo! Mmm, I think I’d eat mine warm while my kids would most certainly enjoy it cold as a pudding! It’s always such a blessing to hear kiddos appreciate (and actually like) healthy food! Yes, so true! I like mine warm best, too! And kids are so drawn to jello type foods. Pinning to try after Christmas when I an unpack my brand new iPot!! Sure sounds like a winning recipe. Must have made you smile to hear the kids talking about how Mmmm good it is! Just pinned to my AIP board. Hubby will love this! He’s been on the hunt for some good breakfast options and this one has broth – win! Great, Marjorie! Thank you for the pin, too! 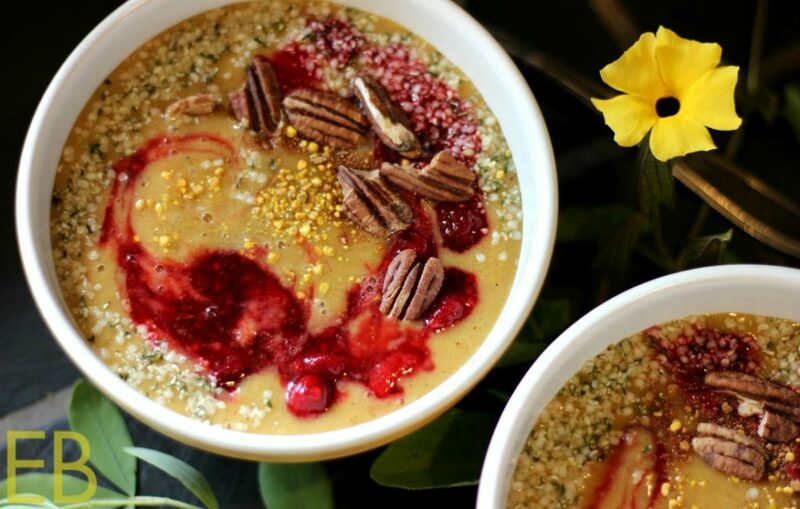 What a beautiful and comforting porridge! What an interesting combination. I would love to try it. 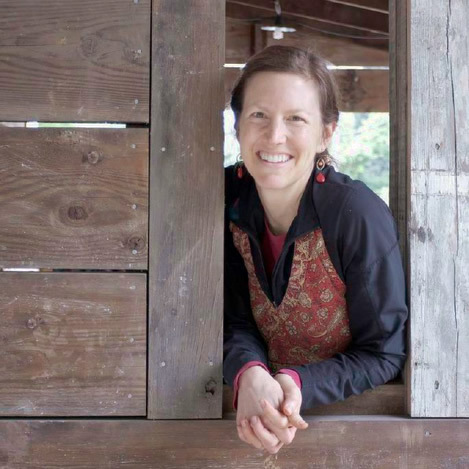 The bone broth…is that chicken or beef or does it really matter? Hi Danielle, I’m sure there is. 🙂 I haven’t done it that way, so I can’t give you the cooking instructions. I would increase the bone broth, though, because liquid evaporates more in the slow cooker, and then determine how long it will take to cook the squash through, perhaps 3 hours? You may have to experiment a bit. Do you put in the squash with skin? Sounds like you tossed in all of it but the seeds. Thank you. This looks amazing – I love getting veggies into breakfast foods (it’s difficult with no eggs, I’ve found) and this will be a nice alternative to my ‘carrot oatmeal’. Question though…would it work just as good to seed first and then put in IP? What bone broth do you use? I am new to this and don’t want to get the wrong thing. thanks!